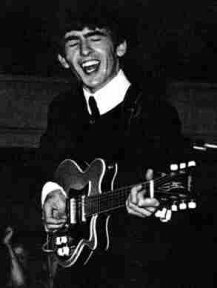 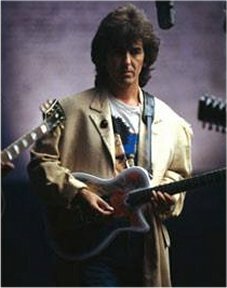 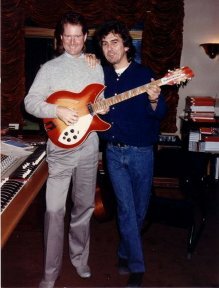 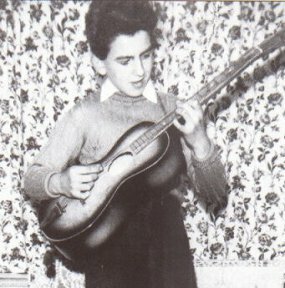 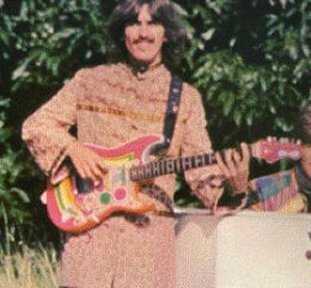 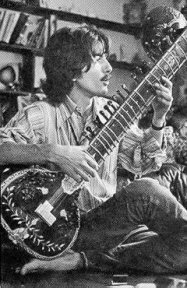 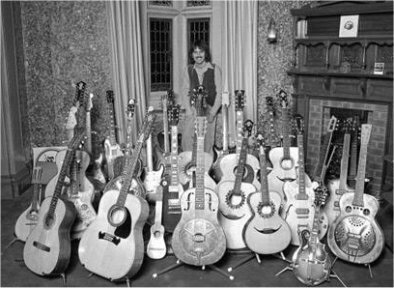 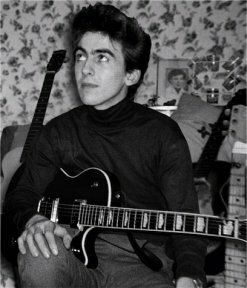 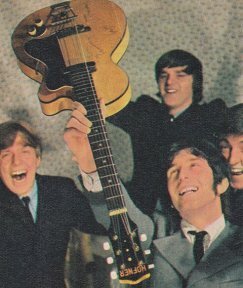 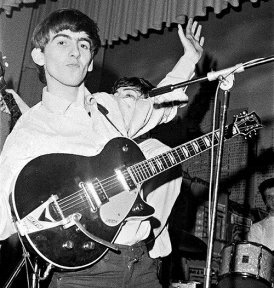 George's father bought this first guitar for him for £3.50. 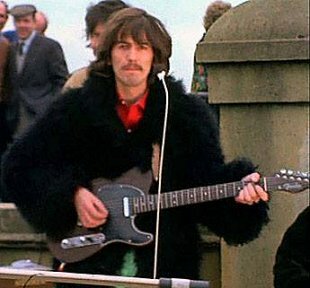 In 2003 it fetched £276,000 at a London auction. 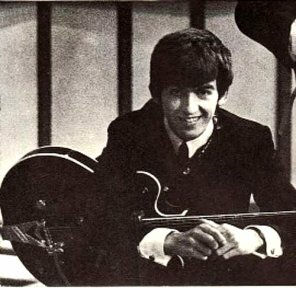 Played ‘With the Beatles’, ‘Please Please Me’ and ‘Sgts Pepper’ sessions. 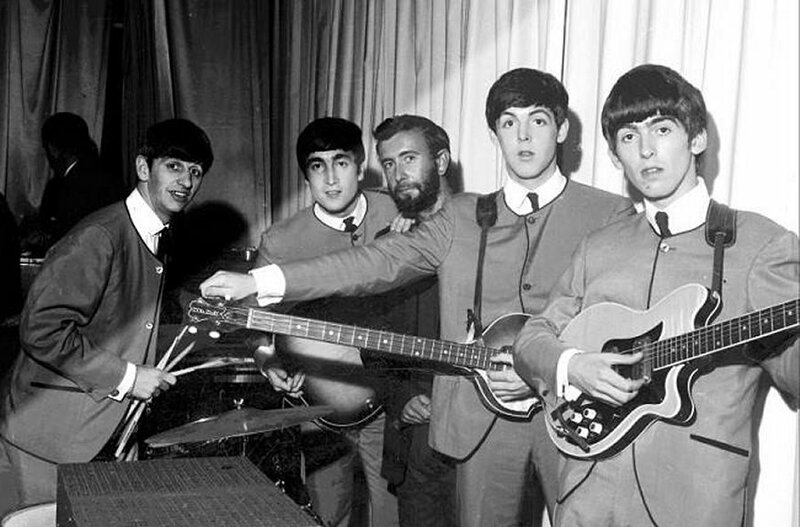 Recorded ‘She Loves You’ and ‘With The Beatles’. 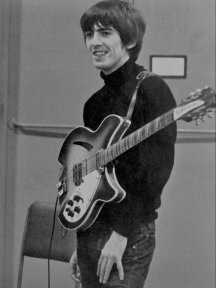 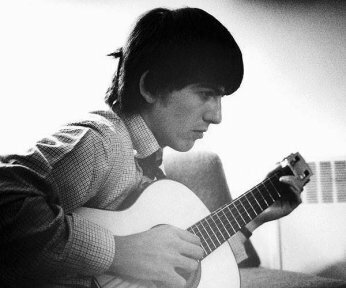 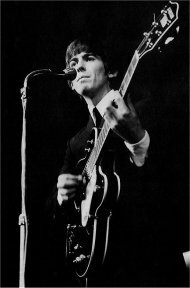 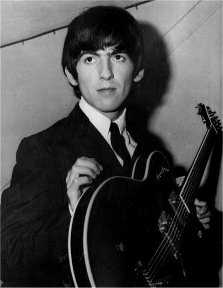 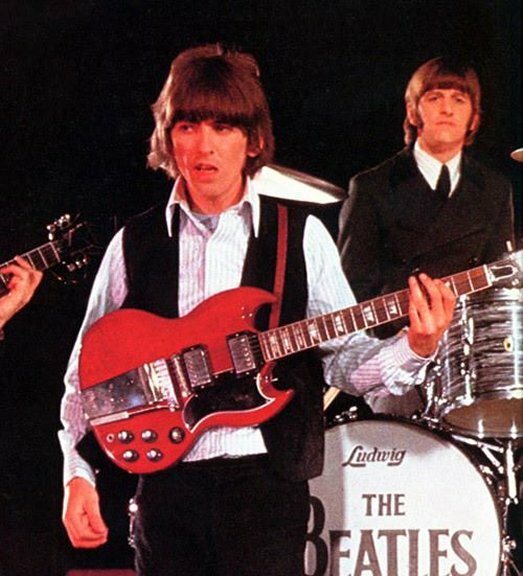 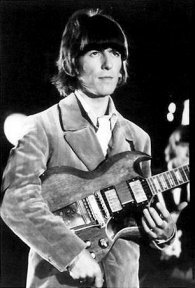 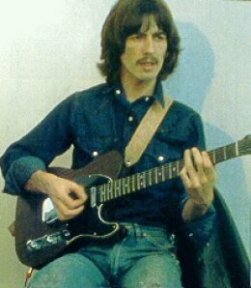 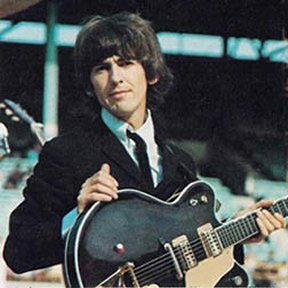 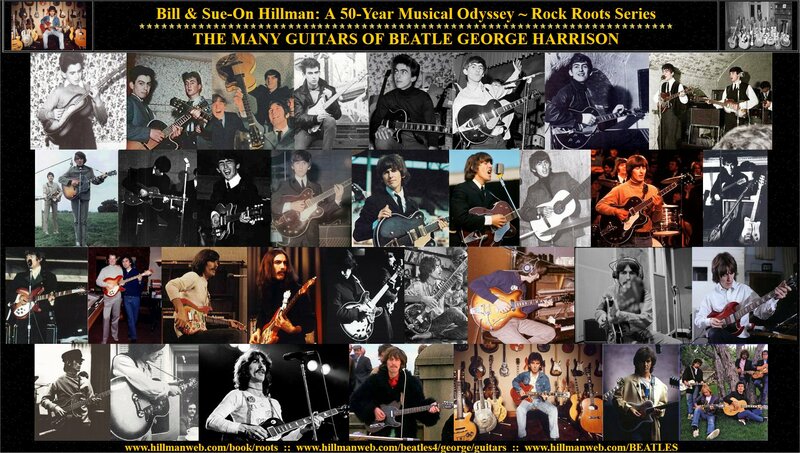 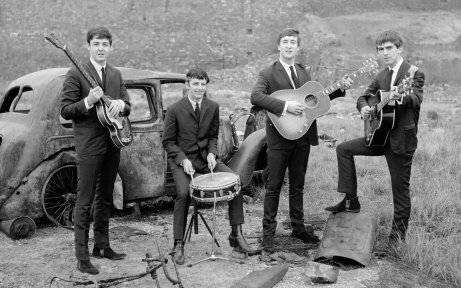 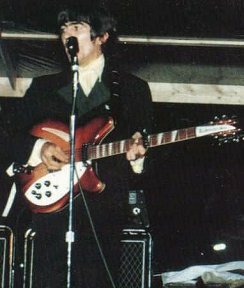 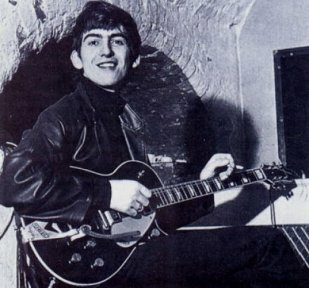 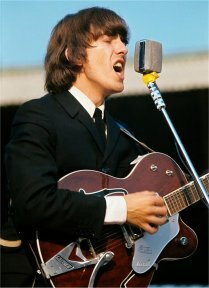 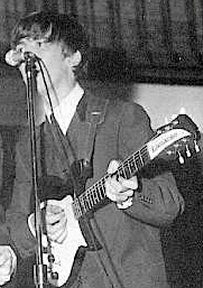 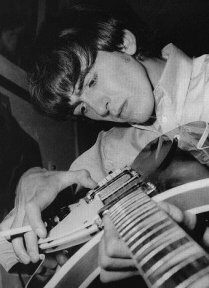 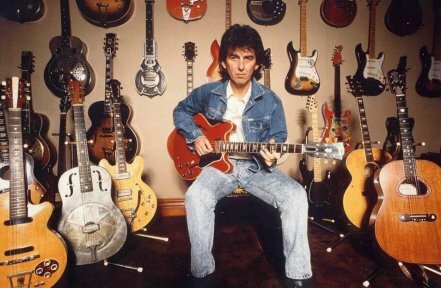 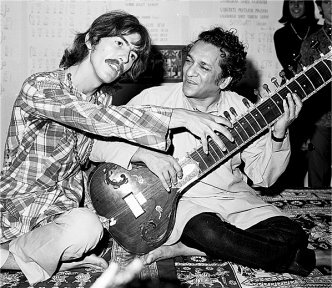 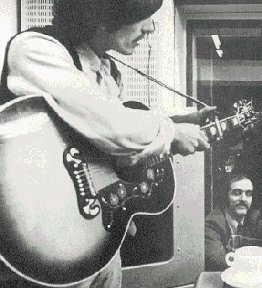 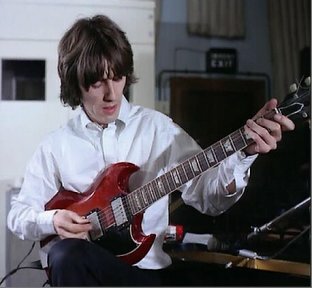 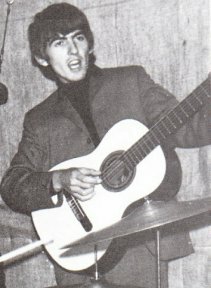 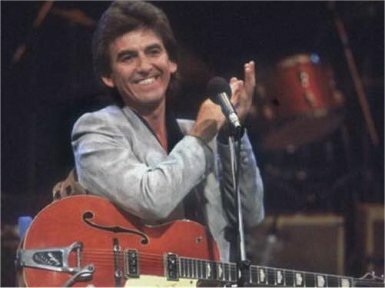 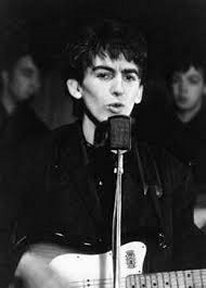 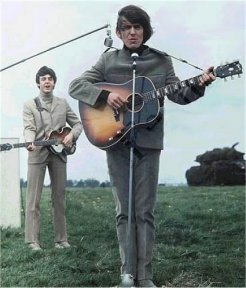 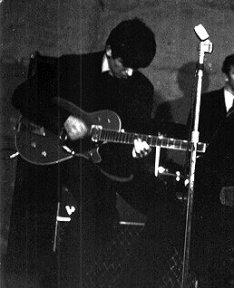 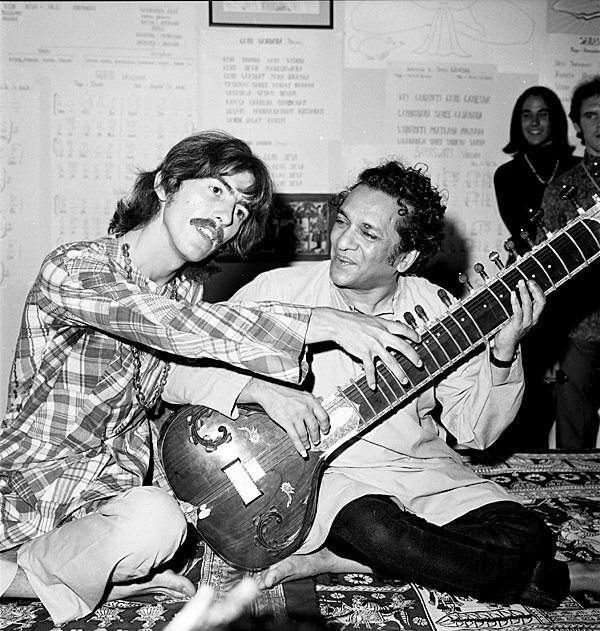 George used the guitar in the summer of 1963 when he had it on loan from Barratt’s Music Store, in Manchester. 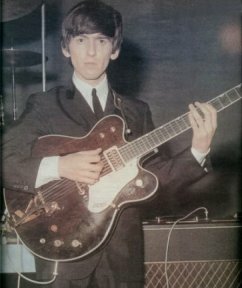 His Gretsch Country Gentleman was experiencing problems and was taken to Barratt's for repair. 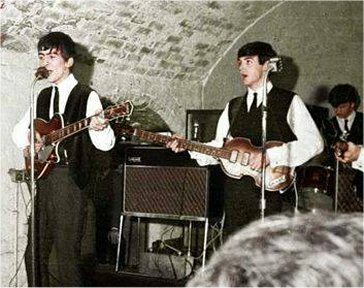 and when the Beatles played Guernsey, Channel Island (August 6–10). 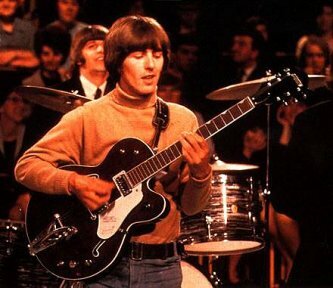 Played '64 and '65 US tour and Ed Sullivan Show. 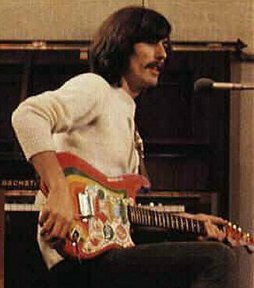 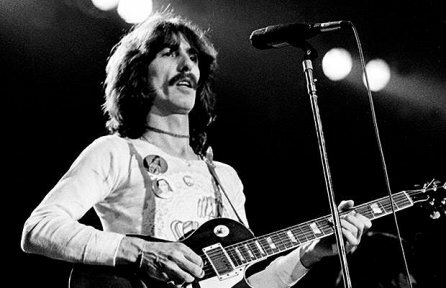 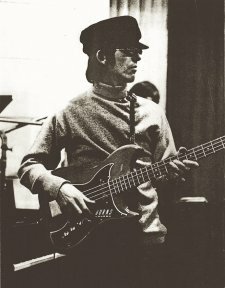 Played ‘For Sale’ and ‘Sgt Pepper’ sessions and '64 and '65 tours. 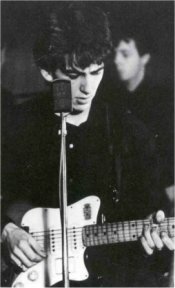 Played at Live performances and recorded ‘If I needed Someone’. 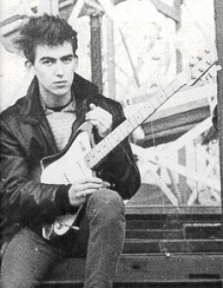 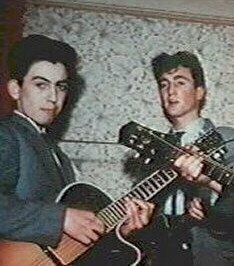 In early 1965, John Lennon and George Harrison dispatched their roadie, Mal Evans, to purchase two Fender Stratocasters. 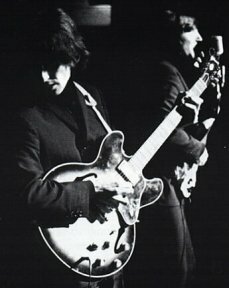 Beatles manager Brian Epstein apparently offered to pay for both guitars, as long as they were a matching set. 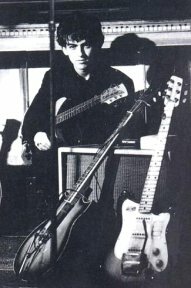 Soon, Evans appeared with two nearly identical pale blue “Strats” in a rare factory custom color, officially called Sonic Blue. 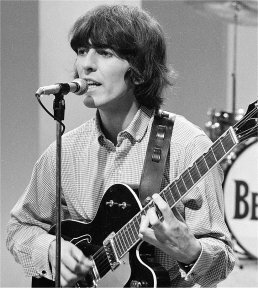 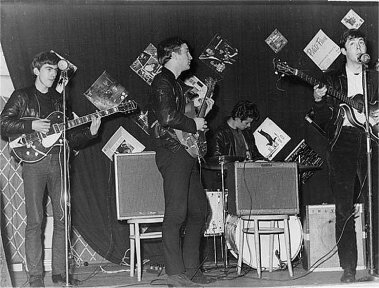 The only difference between the two guitars were, Lennon’s neck wood was plainer while Harrison’s had distinct figuring and flaming. 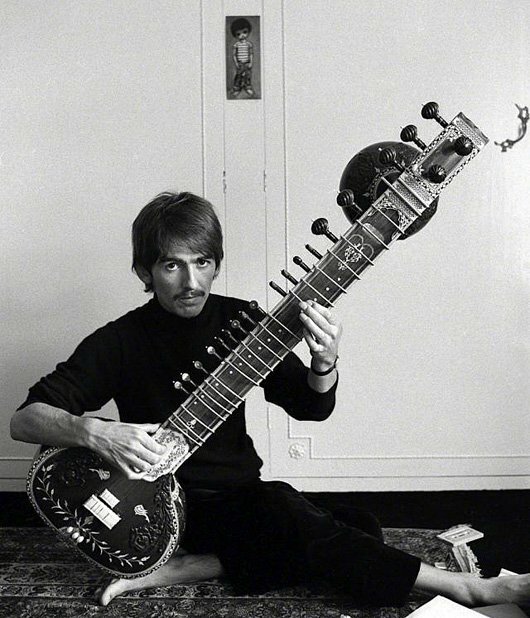 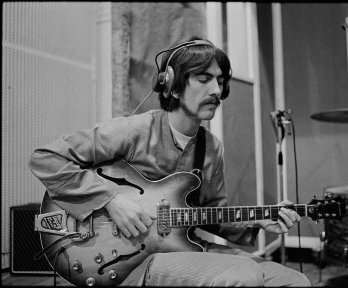 Played on ‘Nowhere Man,’‘Rubber Soul’ sessions, ‘All you Need is Love’, ‘Magical Mystery Tour’ and ‘I am A Walrus.’. 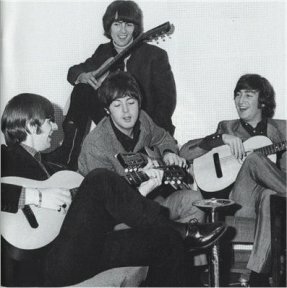 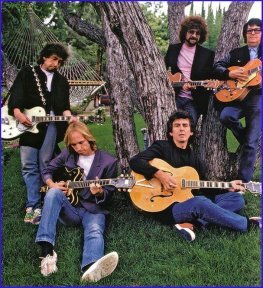 Played on ‘Daytripper’ and ‘We Can Work it Out’ along with '65 UK tour and in picture on 'Help' film. 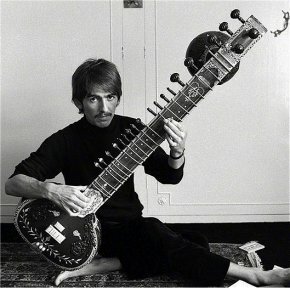 Played on ‘Sgt Pepper’ sessions, ’Hello Goodbye’ and tours. 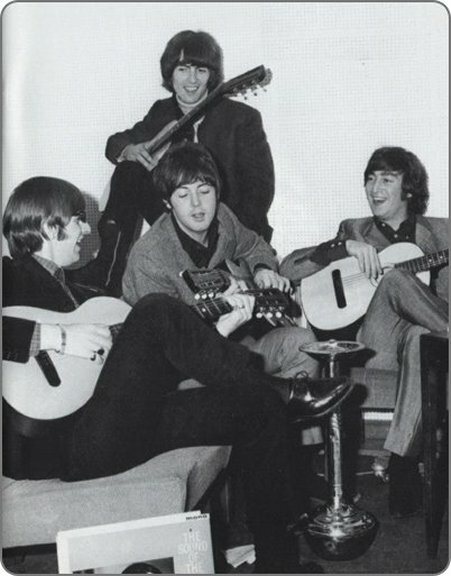 Played on ‘Revolver’ sessions and ‘Lady Madonna’ promo film. 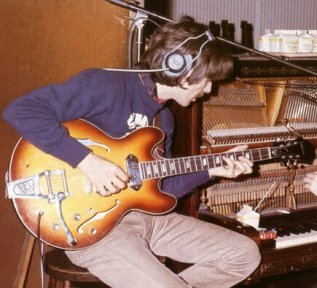 It was also used by John Lennon during the White Album sessions. The guitar was sold in a New York auction in December 2015 for £294,000. 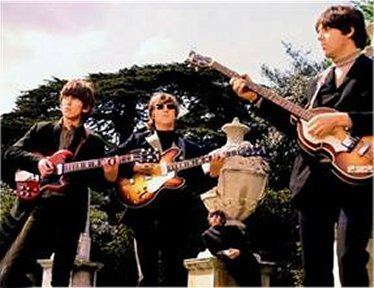 Played on ‘Paperback Writer’ recording. 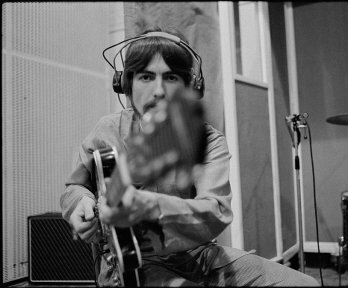 Recorded ‘Let it Be’, ‘Here Comes the Sun’ on ‘White Album’ sessions. 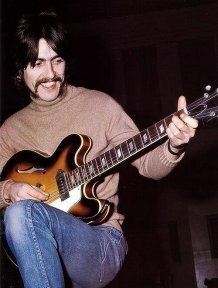 Played on ‘Let it Be’ and ‘Abbey Road’ sessions. 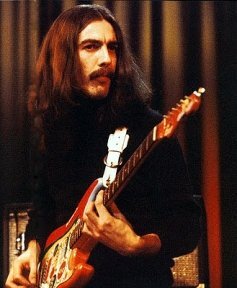 Played on ‘Let it Be’ sessions and ‘the rooftop’ concert.